STNCS trains pastors and leaders who are sent out across South America, especially to the countries of Uruguay, Chile and Argentina. 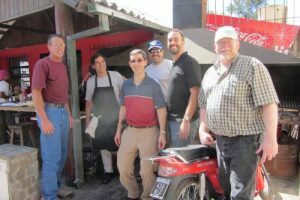 The ConoSur Field office administrates the work of the Church of the Nazarene in the same three countries. This incredibly hard working team ran cable and hung access points in difficult locations in intense heat. We worked closely with Seminary Rector Jorge Julca, Field Strategy Coordinator Juan Jose Zani and IT manager Ireneo Poroma. While we were working, a city bus had an accident across the street. Everyone was evacuated safely and no one was injured. 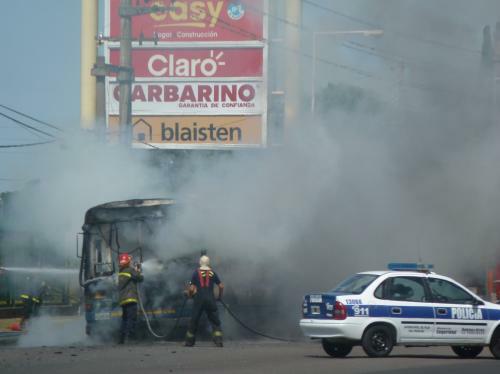 However, it was an incredibly memorable moment when the bus burst into flames. When the flames hit the GNC tank, it exploded. 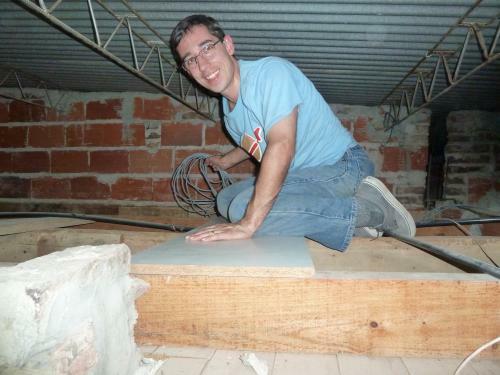 Adam, one of our team members, was the only one who could fit into the attic space to run the wire. It was so hot that he could only be in the space for a short time before he had to recover. 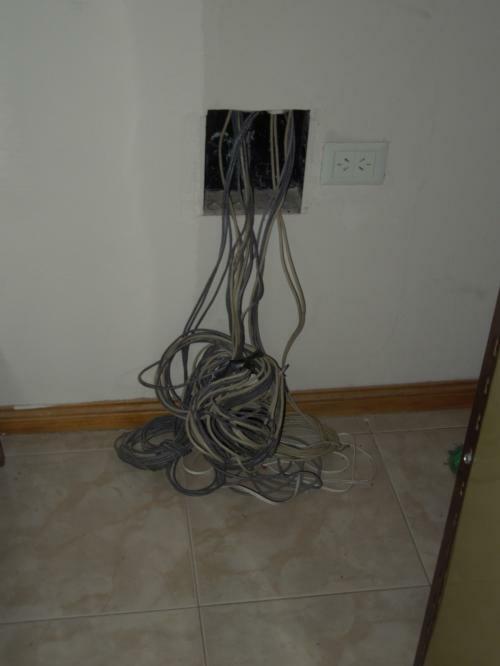 Dale had the job of tracing every existing wire in the seminary (see the picture below of the tangle of wires). Because of his background as an electrician, he knew how to tone the wires and trace. Because of the hard work of this team, seminary students in South America are being discipled, mentored and trained. This entry was posted	on at and is filed under Past, Project Posts. You can follow any responses to this entry through the RSS 2.0 feed. You can skip to the end and leave a response. Pinging is currently not allowed.